Certified. Leather, Heated Seats, Sunroof / Moonroof, Backup Camera, Certified Pre-Owned, AUX PLUG, Balance of Factory Warranty, **LOW MILES EXCELLENT CONDITION**, **Acura FACTORY CERTIFIED**, SMART KEY FEATURING PUSH BUTTON START, **10 YEAR/150,000 ENGINE WARRANTY**. Odometer is 1704 miles below market average! Black 2016 Acura ILX 2.4L FWD 8-Speed Dual-Clutch 2.4L I4 DOHC i-VTEC 16V 25/36 City/Highway MPG Acura Certified Pre-Owned Details: * Warranty Deductible: $0 * Powertrain Limited Warranty: 84 Month/100,000 Mile (whichever comes first) from original in-service date * Limited Warranty: 12 Month/12,000 Mile (whichever comes first) after new car warranty expires or from certified purchase date * 182 Point Inspection * Roadside Assistance * Transferable Warranty * Vehicle History * Includes Trip Interruption and Concierge Services ****Price Includes $750 Finance Coupon****At Acura of Memphis, Tennessee we strive to provide outstanding professional service in all areas of our dealership. We serve Memphis, Nashville, St. Louis and even Little Rock, AR! For your next used or new car or truck, visit us at www.acuraofmemphis.com! Certified. CERTIFIED. Odometer is 12937 miles below market average! Clean CARFAX. Silver 2016 Acura ILX 2.4L FWD 8-Speed Dual-Clutch 2.4L I4 DOHC i-VTEC 16V CARFAX One-Owner. 25/36 City/Highway MPG Acura Certified Pre-Owned Details: * Warranty Deductible: $0 * Includes Trip Interruption and Concierge Services * 182 Point Inspection * Limited Warranty: 12 Month/12,000 Mile (whichever comes first) after new car warranty expires or from certified purchase date * Transferable Warranty * Powertrain Limited Warranty: 84 Month/100,000 Mile (whichever comes first) from original in-service date * Roadside Assistance * Vehicle History ****Price Includes $750 Finance Coupon****At Acura of Memphis, Tennessee we strive to provide outstanding professional service in all areas of our dealership. We serve Memphis, Nashville, St. Louis and even Little Rock, AR! For your next used or new car or truck, visit us at www.acuraofmemphis.com! Certified. Crystal Black Pearl 2017 Acura ILX FWD 8-Speed Dual-Clutch 2.4L I4 DOHC i-VTEC 16V CARFAX One-Owner. 25/35 City/Highway MPG Acura Certified Pre-Owned Details: * Roadside Assistance * Transferable Warranty * Includes Trip Interruption and Concierge Services * Limited Warranty: 12 Month/12,000 Mile (whichever comes first) after new car warranty expires or from certified purchase date * Warranty Deductible: $0 * Powertrain Limited Warranty: 84 Month/100,000 Mile (whichever comes first) from original in-service date * Vehicle History * 182 Point Inspection ****Price Includes $750 Finance Coupon****At Acura of Memphis, Tennessee we strive to provide outstanding professional service in all areas of our dealership. We serve Memphis, Nashville, St. Louis and even Little Rock, AR! For your next used or new car or truck, visit us at www.acuraofmemphis.com! Certified. Clean CARFAX. Gray 2017 Acura RDX FWD 6-Speed Automatic 3.5L V6 SOHC i-VTEC 24V CARFAX One-Owner. 20/28 City/Highway MPG Acura Certified Pre-Owned Details: * Roadside Assistance * Warranty Deductible: $0 * Powertrain Limited Warranty: 84 Month/100,000 Mile (whichever comes first) from original in-service date * Transferable Warranty * 182 Point Inspection * Vehicle History * Includes Trip Interruption and Concierge Services * Limited Warranty: 12 Month/12,000 Mile (whichever comes first) after new car warranty expires or from certified purchase date ****Price Includes $750 Finance Coupon****At Acura of Memphis, Tennessee we strive to provide outstanding professional service in all areas of our dealership. We serve Memphis, Nashville, St. Louis and even Little Rock, AR! For your next used or new car or truck, visit us at www.acuraofmemphis.com! Certified. ****You drive what we drive!!!! DEMO never been titled! Be the first owner!, Leather, Heated Seats, Power Lift Gate, Backup Camera, **10 YEAR 150,000 MILE LIMITED WARRANTY** see dealer for details, Sport Running Boards. Odometer is 1381 miles below market average! Priced below KBB Fair Purchase Price! Clean CARFAX. Black 2018 Acura RDX FWD 6-Speed Automatic 3.5L V6 SOHC i-VTEC 24V 20/28 City/Highway MPG Acura Certified Pre-Owned Details: * Warranty Deductible: $0 * Vehicle History * Includes Trip Interruption and Concierge Services * Roadside Assistance * 182 Point Inspection * Powertrain Limited Warranty: 84 Month/100,000 Mile (whichever comes first) from original in-service date * Limited Warranty: 12 Month/12,000 Mile (whichever comes first) after new car warranty expires or from certified purchase date * Transferable Warranty ****Price Includes $750 Finance Coupon****At Acura of Memphis, Tennessee we strive to provide outstanding professional service in all areas of our dealership. We serve Memphis, Nashville, St. Louis and even Little Rock, AR! For your next used or new car or truck, visit us at www.acuraofmemphis.com! Certified. ****You drive what we drive!!!! DEMO never been titled! Be the first owner!, Leather, Heated Seats, Power Lift Gate, Backup Camera, **10 YEAR 150,000 MILE LIMITED WARRANTY** see dealer for details, 4D Sport Utility, FWD, White, Ebony w/Perforated Leather-Trimmed Interior, Heated door mirrors. Odometer is 2784 miles below market average! Priced below KBB Fair Purchase Price! Clean CARFAX. White 2018 Acura RDX FWD 6-Speed Automatic 3.5L V6 SOHC i-VTEC 24V 20/28 City/Highway MPG Acura Certified Pre-Owned Details: * Limited Warranty: 12 Month/12,000 Mile (whichever comes first) after new car warranty expires or from certified purchase date * Roadside Assistance * Warranty Deductible: $0 * 182 Point Inspection * Vehicle History * Includes Trip Interruption and Concierge Services * Transferable Warranty * Powertrain Limited Warranty: 84 Month/100,000 Mile (whichever comes first) from original in-service date Certified Acura Pre-Owned ***7 years/100,000 miles powertrain Warranty and 12 month/ 12,000 miles non-powertrain warranty with $0 deductible! Call us today for more information! ****Price Includes $750 Finance Coupon****At Acura of Memphis, Tennessee we strive to provide outstanding professional service in all areas of our dealership. We serve Memphis, Nashville, St. Louis and even Little Rock, AR! For your next used or new car or truck, visit us at www.acuraofmemphis.com! Certified. ****You drive what we drive!!!! DEMO never been titled! Be the first owner!, Complete Service Records, Leather, Heated Seats, Power Lift Gate, Backup Camera, **10 YEAR 150,000 MILE LIMITED WARRANTY** see dealer for details, Power Liftgate, Power moonroof. Odometer is 2591 miles below market average! Clean CARFAX. Black 2018 Acura RDX FWD 6-Speed Automatic 3.5L V6 SOHC i-VTEC 24V 20/28 City/Highway MPG Acura Certified Pre-Owned Details: * Vehicle History * Powertrain Limited Warranty: 84 Month/100,000 Mile (whichever comes first) from original in-service date * Roadside Assistance * 182 Point Inspection * Limited Warranty: 12 Month/12,000 Mile (whichever comes first) after new car warranty expires or from certified purchase date * Warranty Deductible: $0 * Transferable Warranty * Includes Trip Interruption and Concierge Services ****Price Includes $750 Finance Coupon****At Acura of Memphis, Tennessee we strive to provide outstanding professional service in all areas of our dealership. We serve Memphis, Nashville, St. Louis and even Little Rock, AR! For your next used or new car or truck, visit us at www.acuraofmemphis.com! Certified. ****You drive what we drive!!!! DEMO never been titled! Be the first owner!, Complete Service Records, Leather, Heated Seats, Power Lift Gate, Backup Camera, **10 YEAR 150,000 MILE LIMITED WARRANTY** see dealer for details, RUNNING BOARDS, AWD, Body Side Molding (White Diamond Pearl). Odometer is 4091 miles below market average! Clean CARFAX. White 2018 Acura RDX SH-AWD AWD 6-Speed Automatic 3.5L V6 SOHC i-VTEC 24V 19/27 City/Highway MPG Acura Certified Pre-Owned Details: * 182 Point Inspection * Transferable Warranty * Vehicle History * Warranty Deductible: $0 * Includes Trip Interruption and Concierge Services * Roadside Assistance * Limited Warranty: 12 Month/12,000 Mile (whichever comes first) after new car warranty expires or from certified purchase date * Powertrain Limited Warranty: 84 Month/100,000 Mile (whichever comes first) from original in-service date ****Price Includes $750 Finance Coupon****At Acura of Memphis, Tennessee we strive to provide outstanding professional service in all areas of our dealership. We serve Memphis, Nashville, St. Louis and even Little Rock, AR! For your next used or new car or truck, visit us at www.acuraofmemphis.com! Certified. ****You drive what we drive!!!! DEMO never been titled! Be the first owner!, Apple Car Play, Complete Service Records, Leather, Heated Seats, Sunroof / Moonroof, Navigation / GPS, Power Lift Gate, Backup Camera, **10 YEAR 150,000 MILE LIMITED WARRANTY** see dealer for details. Odometer is 3334 miles below market average! Clean CARFAX. Black 2018 Acura RDX Technology Package FWD 6-Speed Automatic 3.5L V6 SOHC i-VTEC 24V 20/28 City/Highway MPG Acura Certified Pre-Owned Details: * Warranty Deductible: $0 * Transferable Warranty * Roadside Assistance * Powertrain Limited Warranty: 84 Month/100,000 Mile (whichever comes first) from original in-service date * Includes Trip Interruption and Concierge Services * Limited Warranty: 12 Month/12,000 Mile (whichever comes first) after new car warranty expires or from certified purchase date * Vehicle History * 182 Point Inspection ****Price Includes $750 Finance Coupon****At Acura of Memphis, Tennessee we strive to provide outstanding professional service in all areas of our dealership. We serve Memphis, Nashville, St. Louis and even Little Rock, AR! For your next used or new car or truck, visit us at www.acuraofmemphis.com! Certified. ****You drive what we drive!!!! DEMO never been titled! Be the first owner!, Complete Service Records, Leather, Heated Seats, Backup Camera, **10 YEAR 150,000 MILE LIMITED WARRANTY** see dealer for details, TLX 2.4L Technology Pkg w/A-Spec Pkg, Red, Acura Navigation System w/3D View, Blind spot sensor: Blind Spot Information System warning, Body Side Molding (San Marino Red), Navigation System, Power moonroof, Rear Splash Guards - A-Spec (San Marino Red). Clean CARFAX. Red 2019 Acura TLX 2.4L Technology Pkg w/A-Spec Pkg FWD 8-Speed Dual-Clutch 2.4L DOHC 16V 23/32 City/Highway MPG Acura Certified Pre-Owned Details: * Warranty Deductible: $0 * Limited Warranty: 12 Month/12,000 Mile (whichever comes first) after new car warranty expires or from certified purchase date * Includes Trip Interruption and Concierge Services * Roadside Assistance * Transferable Warranty * Powertrain Limited Warranty: 84 Month/100,000 Mile (whichever comes first) from original in-service date * Vehicle History * 182 Point Inspection ****Price Includes $750 Finance Coupon****At Acura of Memphis, Tennessee we strive to provide outstanding professional service in all areas of our dealership. We serve Memphis, Nashville, St. Louis and even Little Rock, AR! For your next used or new car or truck, visit us at www.acuraofmemphis.com! Certified. Odometer is 573 miles below market average! Clean CARFAX. Black 2019 Acura TLX 2.4L Technology Pkg w/A-Spec Pkg FWD 8-Speed Dual-Clutch 2.4L DOHC 16V 23/32 City/Highway MPG Acura Certified Pre-Owned Details: * Includes Trip Interruption and Concierge Services * Vehicle History * Powertrain Limited Warranty: 84 Month/100,000 Mile (whichever comes first) from original in-service date * Limited Warranty: 12 Month/12,000 Mile (whichever comes first) after new car warranty expires or from certified purchase date * Roadside Assistance * Transferable Warranty * 182 Point Inspection * Warranty Deductible: $0 ****Price Includes $750 Finance Coupon****At Acura of Memphis, Tennessee we strive to provide outstanding professional service in all areas of our dealership. We serve Memphis, Nashville, St. Louis and even Little Rock, AR! For your next used or new car or truck, visit us at www.acuraofmemphis.com! Certified. Ebony Leather. Odometer is 1674 miles below market average! Clean CARFAX. White 2018 Acura MDX 3.5L w/Technology Package FWD 9-Speed Automatic 3.5L V6 SOHC i-VTEC 24V 19/27 City/Highway MPG Acura Certified Pre-Owned Details: * Vehicle History * Powertrain Limited Warranty: 84 Month/100,000 Mile (whichever comes first) from original in-service date * Limited Warranty: 12 Month/12,000 Mile (whichever comes first) after new car warranty expires or from certified purchase date * Transferable Warranty * Includes Trip Interruption and Concierge Services * Warranty Deductible: $0 * 182 Point Inspection * Roadside Assistance ****Price Includes $750 Finance Coupon****At Acura of Memphis, Tennessee we strive to provide outstanding professional service in all areas of our dealership. We serve Memphis, Nashville, St. Louis and even Little Rock, AR! For your next used or new car or truck, visit us at www.acuraofmemphis.com! ****You drive what we drive!!!! DEMO never been titled! Be the first owner!, Complete Service Records, Leather, 3rd Row Seating, 2nd Row Captain Seats, Power Lift Gate, Backup Camera, **10 YEAR 150,000 MILE LIMITED WARRANTY** see dealer for details, Ebony Leather, Navigation System, Power Liftgate, Power moonroof, Splash Guard Set, White Diamond Pearl Body Side Molding (NH-603P). Odometer is 1336 miles below market average! White 2018 Acura MDX 3.5L w/Technology Package FWD 9-Speed Automatic 3.5L V6 SOHC i-VTEC 24V 19/27 City/Highway MPG ****Price Includes $750 Finance Coupon****At Acura of Memphis, Tennessee we strive to provide outstanding professional service in all areas of our dealership. We serve Memphis, Nashville, St. Louis and even Little Rock, AR! For your next used or new car or truck, visit us at www.acuraofmemphis.com! Certified. Leather. Odometer is 1542 miles below market average! Clean CARFAX. Fathom Blue Pearl 2018 Acura MDX 3.5L FWD 9-Speed Automatic 3.5L V6 SOHC i-VTEC 24V 19/27 City/Highway MPG Acura Certified Pre-Owned Details: * Transferable Warranty * Limited Warranty: 12 Month/12,000 Mile (whichever comes first) after new car warranty expires or from certified purchase date * Warranty Deductible: $0 * Includes Trip Interruption and Concierge Services * Powertrain Limited Warranty: 84 Month/100,000 Mile (whichever comes first) from original in-service date * 182 Point Inspection * Roadside Assistance * Vehicle History ****Price Includes $750 Finance Coupon****At Acura of Memphis, Tennessee we strive to provide outstanding professional service in all areas of our dealership. We serve Memphis, Nashville, St. Louis and even Little Rock, AR! For your next used or new car or truck, visit us at www.acuraofmemphis.com! Ebony Leather. Odometer is 2588 miles below market average! Fathom Blue Pearl 2018 Acura MDX 3.5L w/Technology Package FWD 9-Speed Automatic 3.5L V6 SOHC i-VTEC 24V 19/27 City/Highway MPG ****Price Includes $750 Finance Coupon****At Acura of Memphis, Tennessee we strive to provide outstanding professional service in all areas of our dealership. We serve Memphis, Nashville, St. Louis and even Little Rock, AR! For your next used or new car or truck, visit us at www.acuraofmemphis.com! Certified. Ebony Leather. Odometer is 2764 miles below market average! Clean CARFAX. Black 2018 Acura MDX 3.5L w/Technology Package FWD 9-Speed Automatic 3.5L V6 SOHC i-VTEC 24V 19/27 City/Highway MPG Acura Certified Pre-Owned Details: * Includes Trip Interruption and Concierge Services * Limited Warranty: 12 Month/12,000 Mile (whichever comes first) after new car warranty expires or from certified purchase date * Transferable Warranty * Vehicle History * Warranty Deductible: $0 * 182 Point Inspection * Powertrain Limited Warranty: 84 Month/100,000 Mile (whichever comes first) from original in-service date * Roadside Assistance ****Price Includes $750 Finance Coupon****At Acura of Memphis, Tennessee we strive to provide outstanding professional service in all areas of our dealership. We serve Memphis, Nashville, St. Louis and even Little Rock, AR! For your next used or new car or truck, visit us at www.acuraofmemphis.com! Parchment Leather. Odometer is 2211 miles below market average! Clean CARFAX. White 2018 Acura MDX 3.5L w/Technology Package FWD 9-Speed Automatic 3.5L V6 SOHC i-VTEC 24V CARFAX One-Owner. 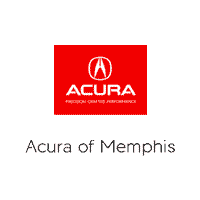 19/27 City/Highway MPG ****Price Includes $750 Finance Coupon****At Acura of Memphis, Tennessee we strive to provide outstanding professional service in all areas of our dealership. We serve Memphis, Nashville, St. Louis and even Little Rock, AR! For your next used or new car or truck, visit us at www.acuraofmemphis.com! * Prices shown do not include taxes or license. Actual vehicles/accessory costs, labor and installation vary. Please consult your selected dealer. 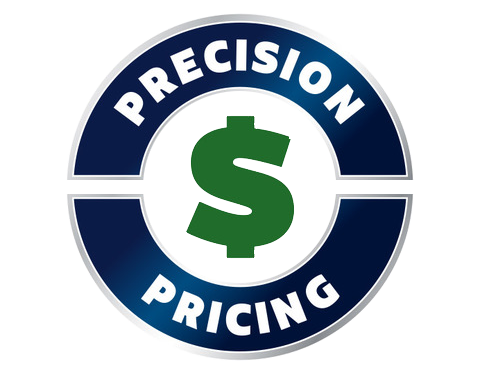 * Prices shown do not include taxes, or license. Destination charge for ILX, TLX and RLX is $995.00, NSX is $1800.00 and MDX and RDX is $995.00. Actual vehicles/accessory costs, labor and installation vary. Please consult your selected dealer.